Twenty-seven year Midwest City Police veteran Mike Six and coordinator Fredia Cox are invaluable at the Midwest City Senior Center. 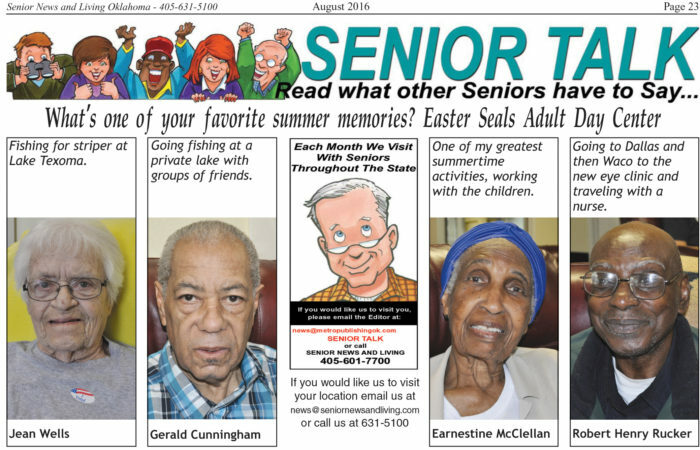 Depending on the day you come, you may find Mike Six behind a broom at the Midwest City Senior Center. You might also see him behind the wheel driving seniors where they need to go or simply pulling up and cooling off their car on a hot day. Then again he might be calling out bingo numbers or laying a spinner down during a daily game of dominoes. “This is the best job I’ve ever had,” said Six the center’s assistant coordinator under Fredia Cox. After 27 years on the force, Six retired and decided to try a few things. He spent a year teaching before kicking around some different jobs. He came back on with the city and shortly the job at the senior center opened up. Cox estimates nearly 6,000 seniors each month are served at the Midwest City facility. All of them know Mike, or just Six. “He’s vital,” Cox said simply of her assistant, who also handles all the building’s maintenance. It’s the time he spends at the facility that Six counts as his most important contribution. A lot of counseling goes on within these walls, but there’s no couches or co-pays involved. The kind of counseling Six and Cox deliver is a smile, a cup of coffee and a willingness to listen. “We visit with them. It’s really a quality of life issue for them,” Six said. The center schedules three dances a week for the seniors plus many other activities. Six and Cox both serve as resources for seniors. If someone is having a problem in an area of life their combined 70 years of experience in the community is there to help. The Midwest City Senior Center offers programs, classes, events and activities for citizens, age 55 and older, who have a common interest in fellowships, leisure pursuits and mutual respect for one another. The center is managed by Cox under the direction of the Midwest City Parks and Recreation Department. All programs and activities offered at the center are supervised by Cox and Six. The center encourages ideas, input and involvement from senior citizens. It keep them going and it keeps Six going. Six’s roots run deep in Midwest City after spending his career policing the streets. He was part of the department’s various community policing projects which focused on community relations as well as tackling the city’s gang problems. Bible study class is Wednesdays from 10 – 11 a.m. in the Mistletoe Room. Gospel music is Fridays from 10 – 11:15 a.m. in the Grand Room. Oil painting classes are offered Wednesdays and Fridays from noon – 4 p.m. in the Mistletoe Room. Participants are responsible for providing their supplies for the class. Please call 405-737-7611 for a list of supplies. Quilters meet Tuesdays and Thursdays from 9 a.m. – 2 p.m. in the Dogwood Room. Woodcarving classes are offered every Tuesday from 1 – 4 p.m. in the Mistletoe Room. Participants are responsible for bringing supplies for class. Please call for a list of supplies. Norman Police Department Lieutenant Jamie Shattuck, Dan Schemm, executive director Visit Norman, Allison Stampley with Bernstein Law Firm and Harold and Lucy Mahoney, owners of Home Instead Senior Care are all volunteering their time to help raise funds to keep Norman seniors safe. It’s at the core of what Harold and Lucy Mahoney provide every day as owners of Home Instead Senior Care in Norman. So it’s just natural for the husband and wife to throw their support behind an upcoming fundraiser designed to help families quickly find their loved ones in the event of an emergency. A Stroll Down Main Street on September 1 in Norman will feature an antique car show, discounts, giveaways and a Jail and Bail event. Several downtown executives and community officials have already volunteered to be “arrested” for the fundraiser. 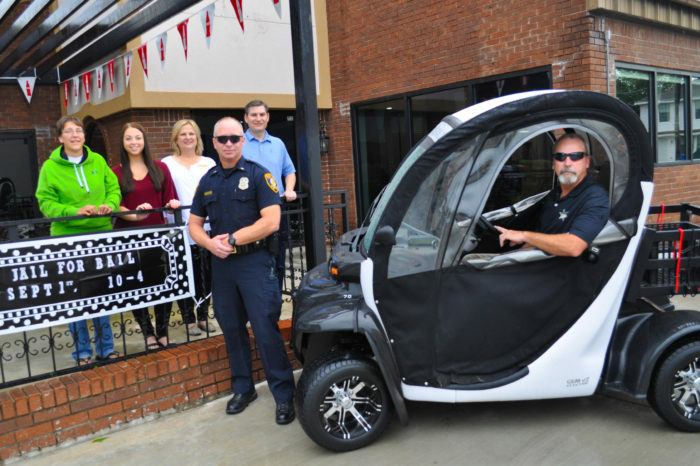 The money will go to help the Norman Police Department and Sunbeam Family Services offer reduced-cost technology that can save a person’s life. “The reason Home Instead is passionate to get funding for the Care Trak device is that it is a strong resource for families, Police and Fire Departments,” said Home Instead Community Relations Director CJ Judd. Care Trak is a program that issues bracelets which emit a radio frequency to help Norman Police officers electronically locate at-risk people who have wandered off or gone missing. Care Trak has been used nationally since 1986, and with it thousands of missing persons have been located. Care Trak bracelets look similar to a watch, can be worn on a wrist or ankle and are meant to be worn 24 hours a day. They are waterproof and include a thick band which can only be removed by a caregiver. In the event your loved one goes missing, you can call the Norman Police Department to report the missing person and tell the dispatcher that he or she is wearing a Care Trak Bracelet. In 1986 Care Trak created telemetry tracking of high-risk people with Alzheimer disease and special needs kids primarily with Autism. Since starting more than 24 years ago the company has earned a 100 percent rescue rate and has become the oldest, most respected name in Telemetry based people locating worldwide. Hundreds of Sheriffs, Police, Fire Departments, SAR Teams and more use Care Trak to quickly locate at risk individuals with Alzheimer’s disease, dementia and special needs kids primarily with Autism and Down syndrome. Thousands of lost individuals were rescued by trained emergency responders in an average of less than 30 minutes. Everyone reported missing who was wearing a Care Trak wrist transmitter was located. The assurance that a loved one will be brought to safety was the appeal to Harold and Lucy Mahoney. Lifelong Arkansas residents, family has always been important to the Mahoneys, who raised two boys before settling down in Norman. Harold grew up working with his five brothers in the family body shop and wrecker service their father started. A quarter century before the Mahoneys ever thought of owning a personal care service they took care of Lucy’s grandmother. From meals to medicine to baths, the Mahoneys took care of every need. After her grandmother passed Lucy entered the medical profession for 25 years. Keeping the integrity of a client’s life is what it’s all about, Lucy says. Professional in-home care allows your family members to age in place. They can continue to live safely and independently in the home they’ve known for much of their lives. In-home caregiving offers peace of mind – and it does so very affordably. Unlike the high, fixed costs associated with assisted living facilities or nursing homes, the price of in-home care stays flexible to meet your needs. You can keep control of your budget by scheduling as few or as many hours of care as you need. Proceeds raised during the Downtown Norman event will help Sunbeam Family Services offer Care Trak on a sliding scale based on income. Scholarship applications and payment plans are available and there are no membership fees associated with Care Trak. For more information about the event you can call Home Instead at 405-310-2756. It’s peace of mind the Mahoneys think is well worth their time and energy. 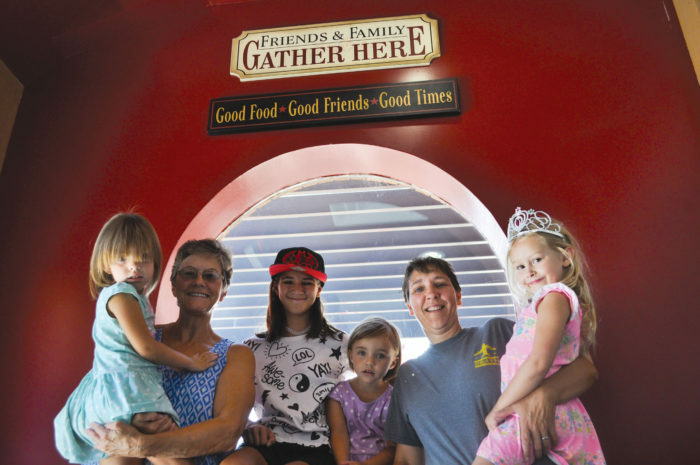 Bridget Hefner, her mother, daughters and even granddaughters are opening up Norman’s newest gathering place, The Screen Door. For nearly 20 years Bridget Hefner worked as an aircraft mechanic at Tinker Air Force Base. So when retirement came around she thought it was time to finally pursue her dreams. The money she earned she decided to pour into what has become a labor of love and Norman’s newest gathering place. August 8 will be the official opening of The Screen Door, an event center and coffee shop that Hefner hopes fascinates the community as it has her for the past few months. Hefner, her mother Patricia Whaley, daughters and even her grandchildren have been painting and prepping for months now. The search for a building was a long one with plenty of properties getting checked off the list. The former Coneys and More location has a patio that looks down Main Street onto a thriving business district. Inside is a spacious, steampunk-themed cafe with seating ranging from tables and stools to cushy leather oversized chairs. Hefner eventually would like to free herself up enough where she can offer seminars revolving around dreams and philosophy. For now, poetry slams and musicians have been scheduled. The space is available for free for those who just want to meet up, Hefner said. Sandwiches, salads, soups and desserts will be offered with the menu ranging from meat to gluten free and vegan. Coffees, teas and frozen fruit smoothies are also on the menu. The Screen Door is open seven days a week from 5 a.m. to 10 p.m. Free WIFI will be available for those who want to drop by and surf the web for an hour or two over coffee. “Hopefully there will be different types of groups and meetings will come in,” Hefner said. Hefner put out the word well before she left Tinker. Once she rented the building she began canvassing the neighborhoods. Hefner welcomes feedback. A large chalkboard will even allow patrons to put up their comments, sayings or thoughts for the day. The sky is the limit for The Screen Door which plans on hosting wine tastings, murder mysteries, Mad Hatter tea parties and a 1920s dance in addition to whatever else guests can think up. The location is directly across from Republic Bank. It’s within walking distance of the Cleveland County Courthouse, Norman High School and Norman’s original downtown. A portion of the 5,800 square-foot building will be available for private use as well for $50 per hour. The idea has been ruminating in Hefner’s head for two years now. She wanted a space she could invite others into as well as a space people would feel welcome. Making a difference daily is the theme for the new venture. In keeping with that, all of The Screen Door’s paper products are eco-friendly and biodegradable. “I’m hoping our product will be good enough quality that word of mouth will get out,” Hefner said. Every week discounts will be offered to different groups of people like firefighters, police officers, medical professionals or teachers. A different charity each week will also be able to receive some of the proceeds of the sales. Right now Hefner’s mom and her oldest daughter are her best employees. But she has hired a sous chef from Packard’s kitchen to put together a menu ranging from strawberry jam muffins with streusel to roasted vegetable and goat cheese grits. The Screen Door’s Facebook page is one of the best places to get information about what’s coming up but the business also has a website at www.screendoorok.com where you can find out more information. Seniors are enjoying spending their days around children at Easter Seals’ unique Adult Day Center in Oklahoma City. What do eight-year-old kids and 80-year-old seniors have in common? Thanks to a unique Easter Seals program that combines adult day health participants with children both groups are having brighter days. The Adult Day Health Center provides special care for adults who are unable to care for themselves for extended periods of time in a protective group setting enabling them to maintain or improve their ability to remain independent. The program utilizes music therapy, horticulture, arts and crafts, current events and other programs to help clients maintain a high level of functioning. 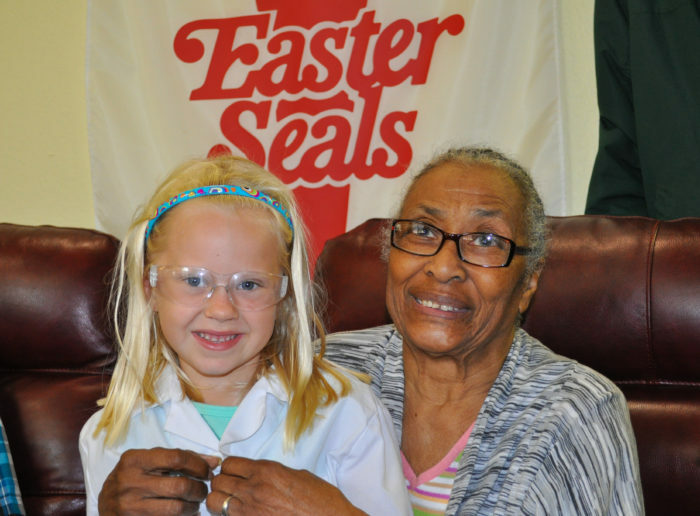 With Easter Seals, you are not alone caring for your family member or friend with frail health or disability. Services are medically-based and offer various levels of care based on the individual needs. A medical professional on staff meets with you to determine the level of care required. Easter Seals Adult Day Center meets your loved one’s physical, social and emotional needs in a safe, home-like setting. The program uses individual plans of care to provide a variety of health, social, recreational and therapeutic activities. In addition, the center provides supervision, support services and, in some cases, personal care. The program is open to eligible applicants ages 18 and up. Attached to the day health center is a children’s center. 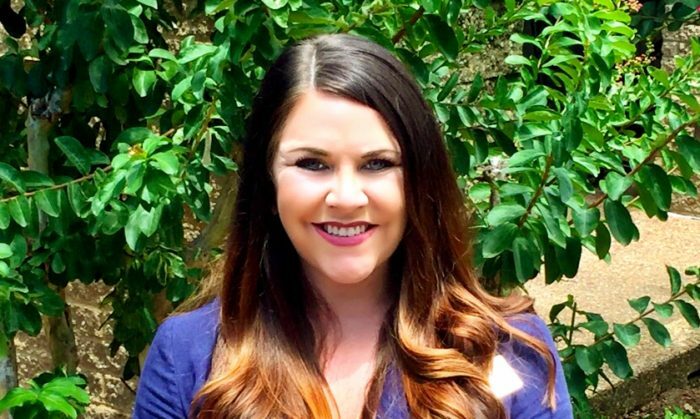 Brittney Ellis serves as the assistant director of programs for the Easter Seals Early Learning and Inclusion Academy. She says the program is one of only two in the state. Soon the groups started joining together for art activities. Just recently there was an intergenerational talent show. 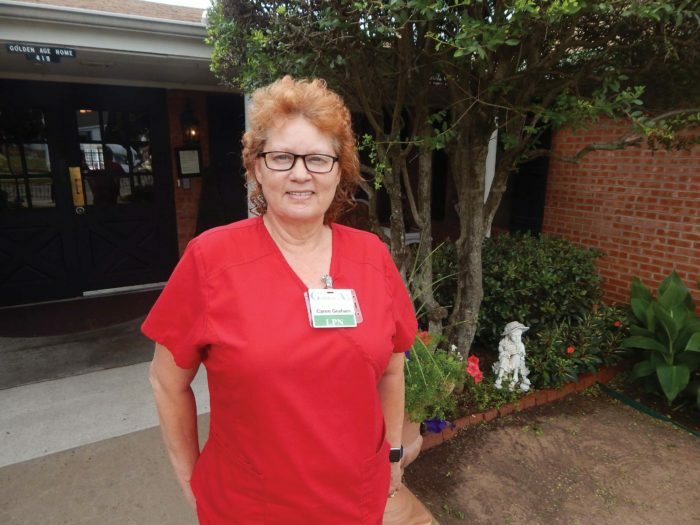 Connie Henderson serves as the activity coordinator for the Adult Day Center and says the relationship is one that seems to work for everybody. For the seniors, activities are planned with their individual needs in mind. And seeing the children becomes a highlight of the day. It’s a distinction not easily earned. The role of a Center of Excellence is often one of mentor, according to Jed Johnson, Assistant Vice President Adult & Senior Services, Easter Seals America. “These centers serve as resources for fellow Easter Seals affiliates who are involved in the start-up of a new adult day services site, in the acquisition of a center, or in the performance improvement of an existing program,” Johnson said. Adult Day Health Center Hours of Operation are Monday through Friday, 7:30 a.m. to 5:30 p.m. You can call (405) 239-2525 for more information. Private pay or financial Assistance is available through the Department of Human Services,Veterans Administration and Medicaid Advantage Waiver Program. Together the groups participated in a food drive benefitting the Regional Food Bank of Oklahoma where donations were collected and dropped off at the charity. Ellis doesn’t believe either group is really all that different from the other. Each require some attention, structure and an opportunity to flourish. 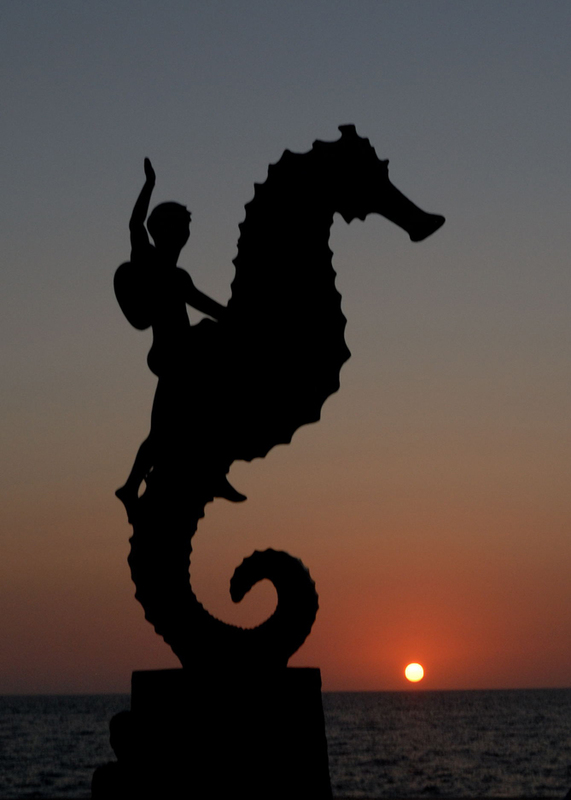 SENIOR TALK: What’s one of your favorite summer memories? Caren Graham was a CNA for Golden Age Nursing Center, says she is right at home when working with the geriatric population. Caren Graham was a CNA for Golden Age Nursing Center in 2001. Graham is now a licensed practical charge nurse at the Guthrie nursing center. She works with a myriad of patients from skilled nursing to long-term care. She is grateful that Golden Age paid for her scholarship to attend nursing school at Metro Tech in 2002 in Oklahoma City. Graham loved school and signed a two-year contract with Golden Age stating that she would come back to work there. Before returning to Golden Age, Graham went into the field of home health when she graduated. The one year of home health did her a world of good, she said of being a seasoned nurse. Graham then went to work with pediatric patients for eight years. She said being a pediatric nurse is good or bad with no in-between. Golden Age provides a professional and efficient environment for nursing care, she said. That is what she likes about it. She always wanted to be a nurse, she said. At age 16 she was a CNA living in Nevada. That was when nurses wore all white attire in a different era. There was some healing that had to happen within her spirit, Graham said. Then 20 years ago, she returned to Oklahoma to continue her journey as a nurse. “The spirit knew where I was supposed to be,” she said. She worked at a daycare in Guthrie for several years and met a nurse who worked at Golden Age. The conversation led her to work at Golden Age as a CNA. Everything fell into place for Graham. Golden Age sets a high standard with their employees, she said. Her second time at Golden Age is different than it was when she first worked here in a world of paper, she said. Learning the digital age of computers applied to nursing was intimidating at first for Graham, she said. Nurses in any field want to help someone who can’t help themselves, she said. So geriatric care is very gratifying for Graham. Helping the residents is more than giving them medicine. It’s determining what works for them by knowing their nuances, Graham said. She can put her head down at night and feel satisfied, Graham said. That is also the time she thinks of some of the best interventions for her residents. During her leisure time, she and her husband like to travel. Their children are grown now. 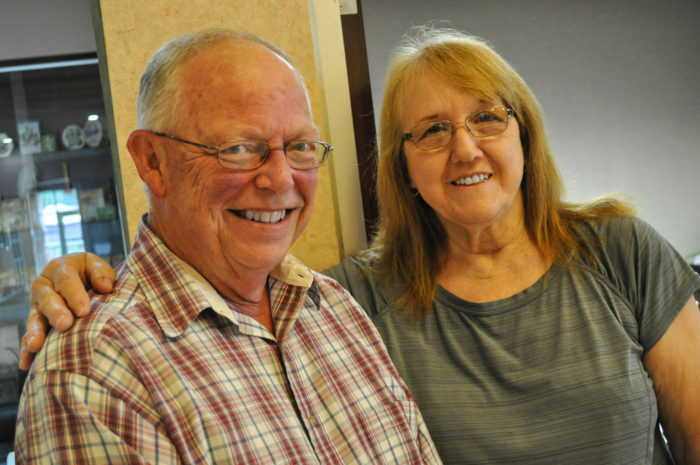 Graham enjoys listening to music and her husband plays golf. “I have a granddaughter that just moved in with me so I’m kind of getting back into that role,” she said. Maguire Biggs, 5, showed her mare TXS Dinas Real Miracle to a win of the Leadline 6-Under Trail class during the 2016 Pony Of the Americas Club (POAC) National Congress at Tulsa. 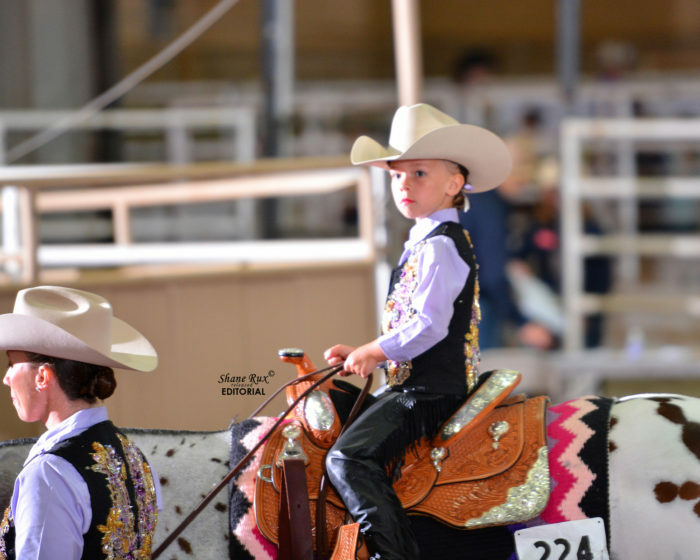 Since winning the Leadline 6-Under Trail class during the 2016 Pony Of the Americas Club (POAC) National Congress at Tulsa, 5-year-old Maguire Biggs, who lives in the Chickasha area, has chosen to taken her ribbon to bed with her each night. 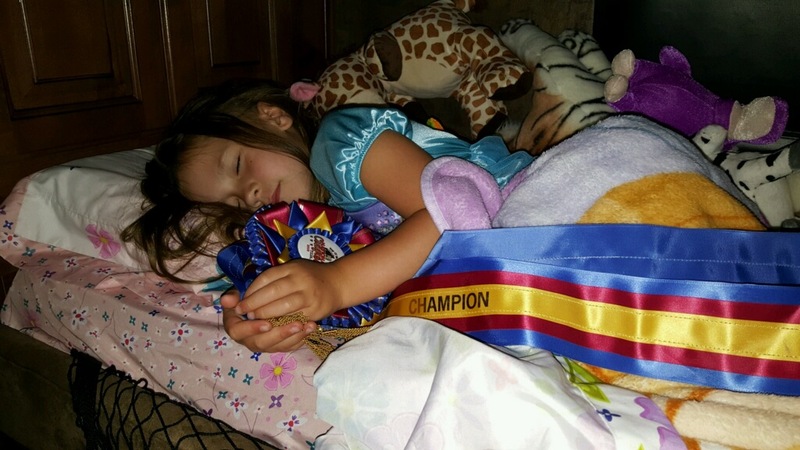 The champion’s ribbon that had glistened in 5-year old Maguire Biggs’ dreams is now clutched between her tiny hands each night as she sleeps. Biggs, who lives in the Chickasha area, showed her 15-year-old bay leopard mare TXS Dinas Real Miracle to a win of the Leadline 6-Under Trail class this week during the 2016 Pony Of the Americas Club (POAC) National Congress at Tulsa. The win came on Sunday but each night since she has toted the long blue, red and gold Champion’s ribbon with her to bed. Maguire was asked Thursday how often she plans to sleep with the ribbon next to her. The 2016 POAC National Congress began July 7 and continues through Friday (July 15) at the Built Ford Tough Complex at the Expo Square in Tulsa. The national show has featured 2,675 entries and about 370 ponies. Participants and family members come to the show from Oklahoma, Florida, Wisconsin, Illinois, Oregon and many other states. Biggs said she heard a report in recent years that the show has an annual economic impact on the city of more than $1 million. The POAC National Congress is just one example of how equestrian events in Tulsa, Oklahoma City and throughout the state allow children of varying ages to live out their dreams while forming a bond with their horses and making long-lasting friendships with other exhibitors. Maguire is the daughter of State Representative Scott Biggs and Dr. Rosslyn Biggs. Rosslyn Biggs is the show chairman for the POAC National Congress in Tulsa and she the represents the second of three generations of their family to show the Pony Of the Americas breed. The awards represent more than a national championship in a particular class. Maguire rides about six days a week, anywhere from 15 to 20 minutes to as much as an hour a day. Each day she’s at the back door of the house with her boots on ready to go to the barn to spend time with her friend TXS Dinas Real Miracle. On Thursday, Maguire was asked what she likes about her friend. What did you think when they called your name as the champion? Watching that excitement is gratifying to a parent whether their child is 5 years old and headed for kindergarten or in the case of Shari Clymer’s daughter Sarah, 19 years old and headed for college. Shari Clymer of Edmond said her daughter clings to the words, “Living the dream.” Sarah’s has been an impressive dream that continues on. So she started lessons and found a trainer and a POA. She has continued on with her dream, winning numerous titles and now will be a member of the Oklahoma State University Equestrian Team. As a parent she values the hard work that her daughter has put into achieving those dreams and the lessons she has learned. Rosslyn Biggs echoed the importance of what is gained aside from awards. Katy Woodard, long term care administrator in The Springs at The Fountains at Canterbury. Katy Woodard, an associate of The Fountains at Canterbury in Oklahoma City, recently received her Oklahoma Long Term Care Administrator license from the Oklahoma State Board of Examiners for Long Term Care Administrators. Woodard, program director and now administrator at The Fountains at Canterbury, fell in love with the senior population while engaging in philanthropic opportunities through her collegiate sorority, Sigma Kappa. Hoping to continue working with seniors, she pursued a Bachelor of Science and Master of Science in speech-language pathology at the University of Central Oklahoma. Woodard spent seven years practicing speech-language pathology in skilled rehabilitation, two years of which were spent as the director of rehabilitation in The Springs at The Fountains at Canterbury. Most recently, Woodard decided to continue pursuing her passion for the elderly by becoming a long term care administrator. She completed an 18-week class through Administrator University in Oklahoma City as well as 560 hours of required training. After passing the State Board Exam, Woodard completed the National Association of Long Term Care Administrators Boards in May of this year and became fully licensed by the Oklahoma State Board of Examiners for Long Term Care Administrators in June. The Fountains at Canterbury is dedicated to being the first choice in senior living, providing a continuum of care including independent living, assisted living, memory care, innovative rehabilitation therapies and skilled care. The Fountains at Canterbury is committed to creating an extraordinary community where people thrive. To learn more, please call (405) 381-8165 or go online to www.watermarkcommunities.com. The National Cowboy & Western Heritage Museum is excited to announce a unique program for adult metro-area volunteers, art enthusiasts and history lovers to become a Museum docent who provides guided tours at the National Cowboy Museum. For the first time, the Museum is partnering with the University of Central Oklahoma to offer students and Museum docent candidates a university-level Western History and Museum course. Patti Loughlin, Ph.D., chair of the UCO Department of History and Geography, will lead an engaging 12-week course focusing on history of the American West and the National Cowboy Museum’s world-class collections. Participants will research selected art and artifacts and share presentations in collaborative groups. Upon completing the course, participants are eligible to apply for docent candidacy. Founded in 1965, the Museum’s program is one of the largest and most celebrated docent groups in the nation. Docents are awarded discounted Museum membership, enjoy free Museum admission and other discounts and are invited to behind-the-scenes opportunities. An uptick in Museum tourism, particularly among school groups, is anticipated due to the Museum’s recent efforts to raise more than $40,000 to offset transportation and other costs for public school field trips this academic year. Registration for the course is open now through Aug. 17. The course will run Aug. 22 through Nov. 14 from 9 a.m. to 10:15 a.m. at the Museum. College students will have the opportunity to receive one credit hour upon completion. The class enrollment fee for incoming docents is $125, or free for those older than 65 with the purchase of a $30 reading packet. The tuition rate is $228.20 for matriculated UCO students. Register online at http://go.uco.edu/cowboy-link or call the UCO Customized Education Office at 405-974-3030. For questions, call Gretchen Jeane, Museum Director of Education at 405-478-2250 ext. 277. The high mountain lodge at Villa Savana ( www.villasavana.com) supplies a panoramic view of the town and beach, and quaint views of the houses of local citizens. The white washed accommodation, offers an historic character to the complex of pool and vista filled terrace. At such a reception you might be treated to the guitar stylings of Eduardo Leon, and take home his CD for remembering the intoxicating experience again and again. 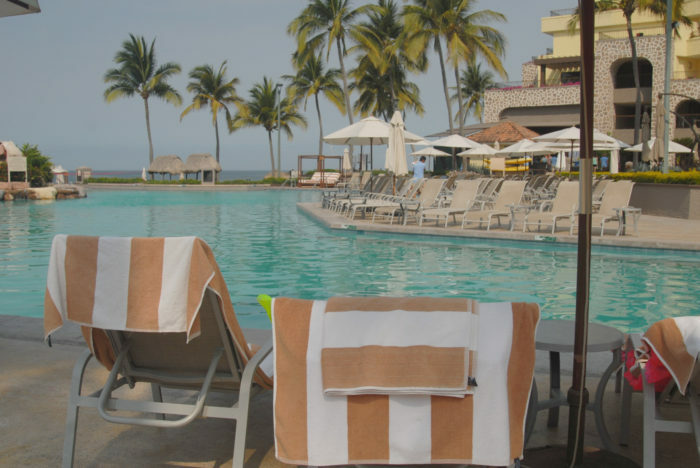 A true delight is the food and ambiance of the ocean side setting of the Sapphire Beach Club (http://sapphire.mx), which also hosts accommodations and a fresh water pool, overlooking the palapas of the beach, complete with roaming sellers of local goods. 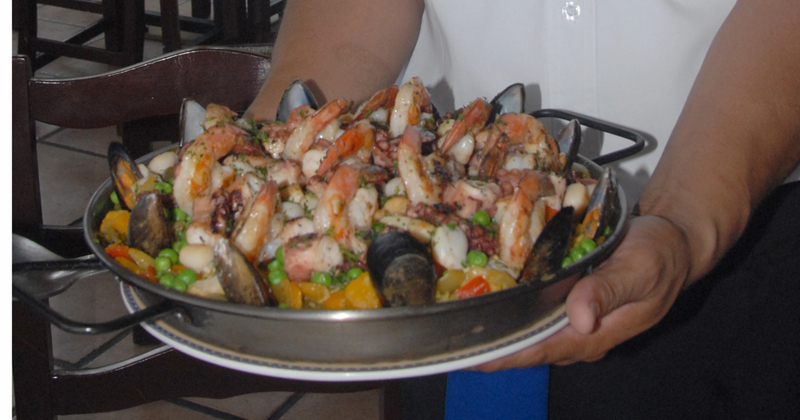 Despite all the shopping and dining opportunities in Puerto Vallarta proper, it’s easy to recommend a coastal sail along Banderas Bay with Mike’s fishing and charter tours (http://pvmikesfishing.com/, where with party music and refreshments gives you a chance to feel as if you are on a private yacht. This get a way sail, to a coast beach near of the Marietta’s Islands is where you might enjoy snorkeling. This relaxing day experience is not to be overlooked. Don’t forget your sunscreen!